Recently Digital Transformation has become a widely-discussed topic, especially at CEO and top executives meetings. This is because 1) DT have proved to be very effective for improving business processes and increasing profit and 2) there’s no single way to do it right, no sophisticated Digital Transformation guideline. Every CEO will on the spot tell you what should be transformed in his company, yet when it comes to how to do it, he’ll won’t be able to give you a clear answer. 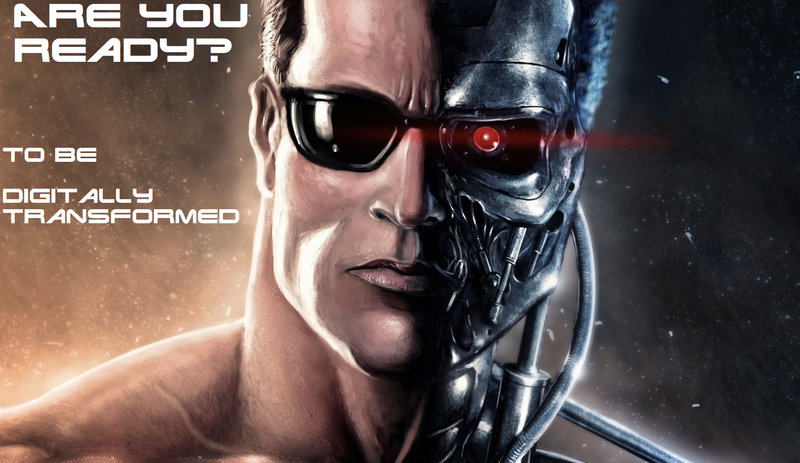 Our team has solid 10 years worth of IT consulting experience, and over this time we’ve been in charge or provided any kind of support at numerous digital transformations, even before the trend for it emerged. we’ve seen the success and failures, and this allowed me to create own, optimal Digital Transformation “recipe” and especially what should lay at its base. These elements are ITIL and Agile, SAFE to be precise. 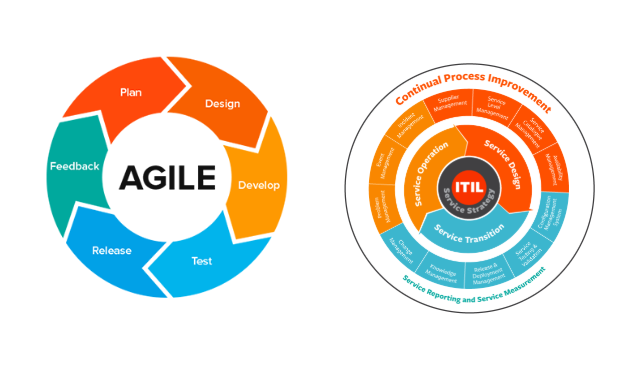 Even though Agile and ITIL might seem indistinguishable from each other, to tell them apart all you need to do is to have a look at their guidelines. The point of focus for ITIL are internal and external processes and services, how to organize and maintain them. Moreover, it places emphasis on Change Organizational Management, automation and human values. ITIL used to be a methodology reserved for IT, yet over the years it has been successfully adopted by enterprises outside IT. ITIL creators are constantly working to improve their creation so that it would suit shifting business needs; at the moment they are working on the 4th edition. There are metrics for Service Strategy, Service Design, Service Transition, Service Operation and Continual Service Improvement at the ITIL today. Project management and team mates efficiency, importance of development and business unit collaboration, self-organized teams and flexible requirements are the aspects that Agile, in its turn, places its emphasis on. Yet it is applicable solely at the scale of a team, and one team is not enough to bring DT to life. This is where you need to up the stakes and implement Scaled Agile Framework (SAFe for short) – Agile for the whole company. 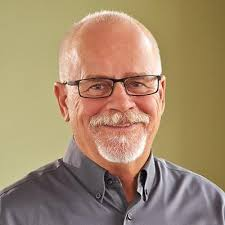 SAFe was developed and popularized by Dean Leffingwell, Director and Chief Methodologist at Scaled Agile, Inc. and other software development experts. “You can’t add up opinions of people to come up with the business strategy. Some things require centralized decision making,” – this is how Leffingwell explains the need for a sole corporate Agile strategy. SAFE builds such an environment, where Agile teams and top-down, decision-making work together. “SAFe promotes the core values of empowerment and decentralization of control, but not the decentralization of everything,” explains Leffingwell. “The traditional models of centralized program planning and micro-technical-management are a thing of the past with SAFe. That is empowering.” He claims that enterprises-SAFe adapters have greatly improved their effectiveness and reduced time to market twice or in some cases more. 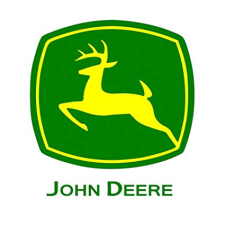 There is a great number of SAFe successful cases on the Internet, yet the one of John Deere company we rank among the most prominent. The enterprise wanted to increase the speed to market but keep the budget and resources the same. The executives considered that SAFe would help them to resolve this conundrum. 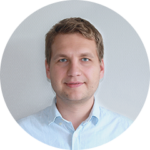 “Moving our team to Scrum was scary, challenging, and liberating, all at the same time. Scrum was ‘our little secret’ that helped move our delivery time timeframe from 12-18 months to 2-4 weeks. Plus, our engineering teams were happier and customer satisfaction went up,” – remembers Steve Harty, former Agile Release Train Manager at John Deere. Having aligned corporate working processes with SAFe, they introduced ITIL and made a quite successful Digital Transformation. Enterprises from Great Britain have been digging the Digital Transformation topic longer than anybody else, so if a client needs a success story, we reference them to UK case studies. 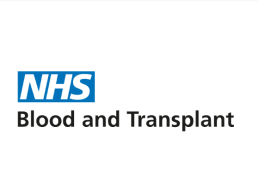 we believe that among them all NHS Blood and Transplant digital transformation was if not the most prominent, than definitely life changing. NHS is a joint England and Wales Special Health Authority, providing blood and transplant services to the National Health Service. What this organization needed was to introduce latest digital technologies that could improve donor communication. “It [NHS] needed to modernize a significant percentage of its core systems, platforms and architecture along with re-aligning the infrastructure to more modern cloud-based technologies. The impact on the current business and practices couldn’t be underestimated across the organization—we were anticipating changes in how we work and how the system worked,” – claimed Gary Dawson, Assistant Director. NHS trusted this, to some extend “life and death matter” to Ivar Jacobson International (IJI) consulting agency. IJI proposed to implement SAFe, and this initiative was approved on top executive level. First things first, the agency gave the NHS employees an overall two-day workshop “Leading SAFe” and continued with specific team-scale SAFe trainings. In sum, corporate education process continued nearly two months; during that time management was developing new corporate rules and policies in accordance with SAFe and ITIL. These cases prove that Digital Transformation is not that big of a problem and burden, if conducted using right ingredients – SAFe and ITIL. Just don’t forget that ITIL and SAFe can’t be adapted overnight – Digital Transformation is a long path, consisting of substantial preparation, training, policy editing and adaptation stage. So, dear CEOs, have a little patience and believe in your success!